Despite some interference from one of the microphones in the first ten minutes (don't worry it goes away), Brad and I think this episode could be the greatest episode of any podcast ever made. Or it's just our new episode. Hello! This is the Doomed Show likes you. Enjoy. 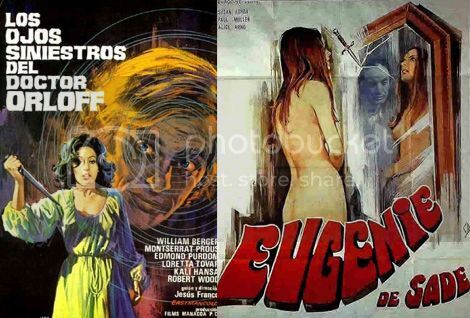 Also, we talk about Jess Franco's Eugenie de Sade and The Sinister Eyes of Dr. Orloff. We also get a little spoilery but it's okay. It's all going to be okay. Check it out right now, y'all. Or check out the archives.